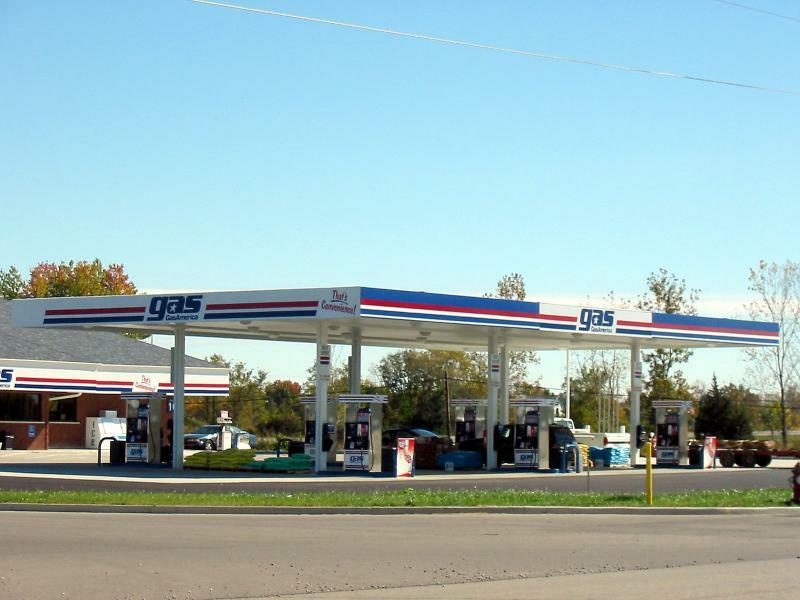 Two shots of a GasAmerica station outside of Frankfort, Indiana. There are several of this brand around this part of Indiana. 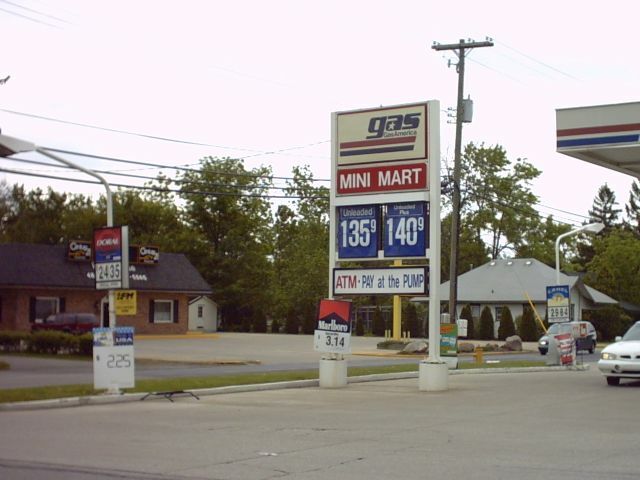 Taken May 31, 2003 by John Cirillo. GasAmerica station and sign in Brookville, OH. 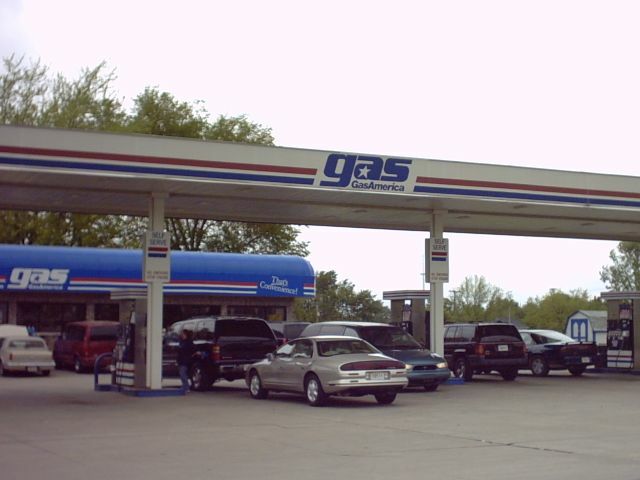 GasAmerica started as White Flash Petroleum, out of Shirley, Indiana in the 1950s. It was owned by the White family. It had about 12-15 locations in 1966. They updated to Gasamerica after the big "shortage" in the later 70's or early 80's. Their headquarters is now in Greenfield,Indiana. They operate 75-100 company stations. involved in ownership/management of the company. 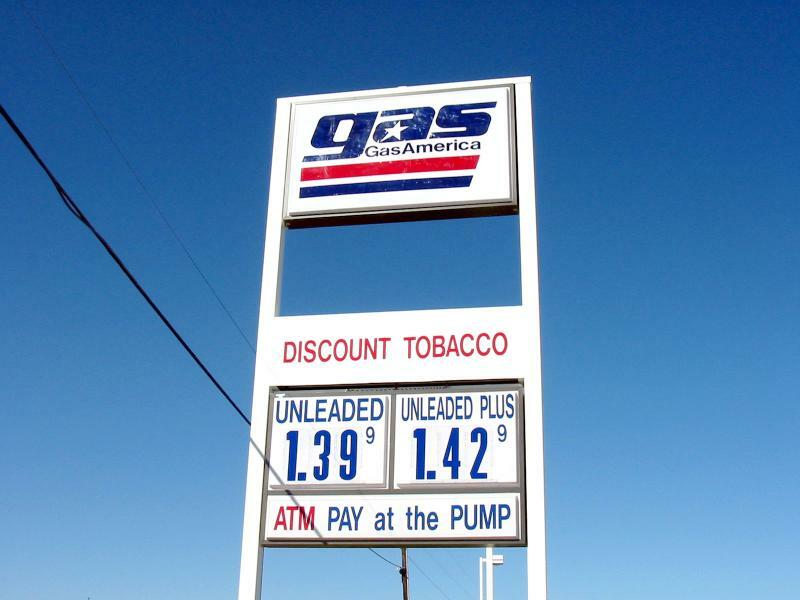 The original sign was a red, white, and blue oval with the atomic symbol in the center.